Where Can I Go For Classroom Training On Sage 100? 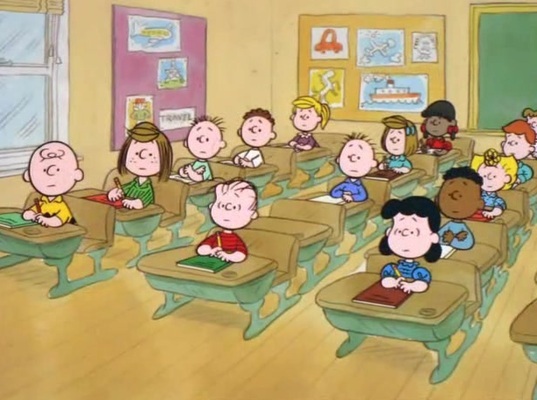 Interested in classroom training on Sage 100? In person and hands on. Sometimes that’s the best way to get a grip on a new computer system. Luckily Sage has a network of Authorized Training Centers (ATC) located throughout North America. These facilities have all been certified by Sage and use authorize curriculum for their classes. For a limited time take 25% off classroom, real-time and virtual hands-on lab training. 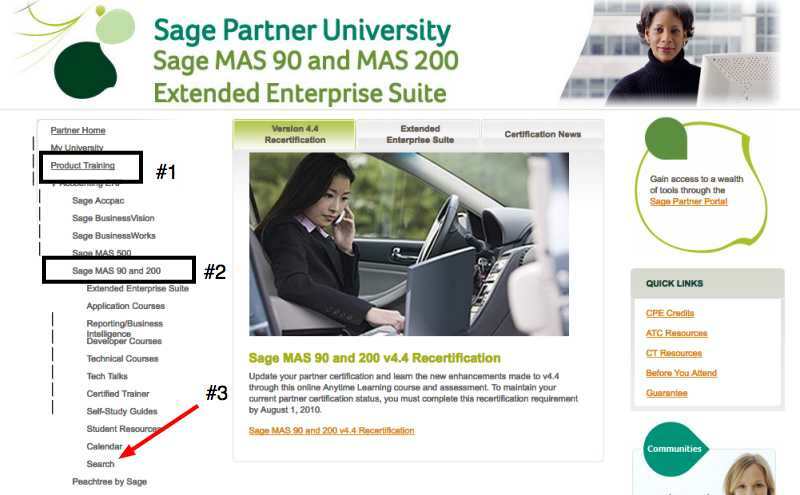 Are you interested in classroom training for Sage 100 ERP (formerly MAS90 and MAS200)? Sage has a network of authorized training centers located across North America who schedule regular instructor led courses. These courses are typically full day and include a user guide as well as plenty of opportunity to network with other students and ask questions of the instructor. 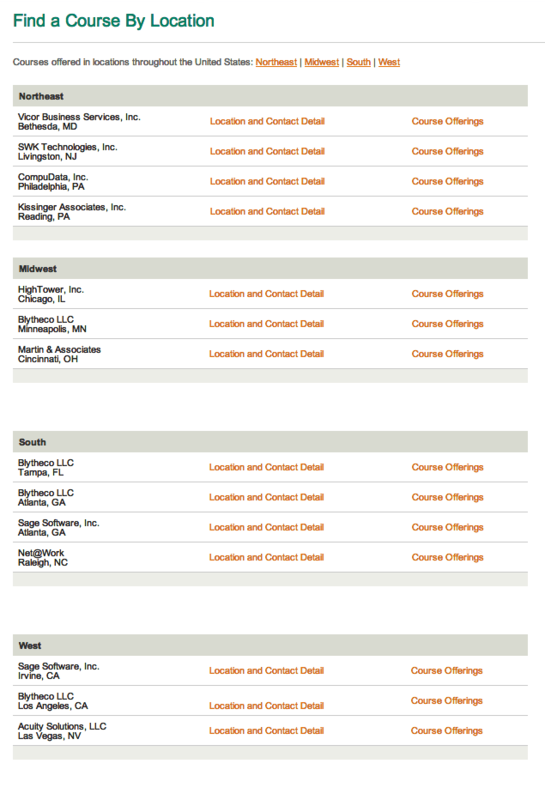 For a complete list of current Sage 100 courses – visit this link. This morning I received an email from an existing user of Sage ERP MAS 90 and 200 asking if I could refer them to a local education center where they could attend classroom instruction on the MAS90 Job Costing module. Sage maintains a network of 9 different locations (most operated by independent partners authorized by Sage). These sites provide hands on classroom instruction using Sage created textbooks (which by the way are great substitutes for the manuals). I’ve often highly recommended the courses because the quality of the instruction and materials is so high. Typically you’ll find each center offering a full suite of courses covering the various Sage ERP MAS 90 and 200 modules. Some of the more niche modules may have less frequent dates scheduled – and are often subject to re-scheduling if minimum attendance is not met – so always confirm these dates with the centers prior to booking travel. If you’re not in the mood for live MAS90 instruction – you can also browse Sage’s Anytime Learning online offerings (which also have fantastic course manuals). 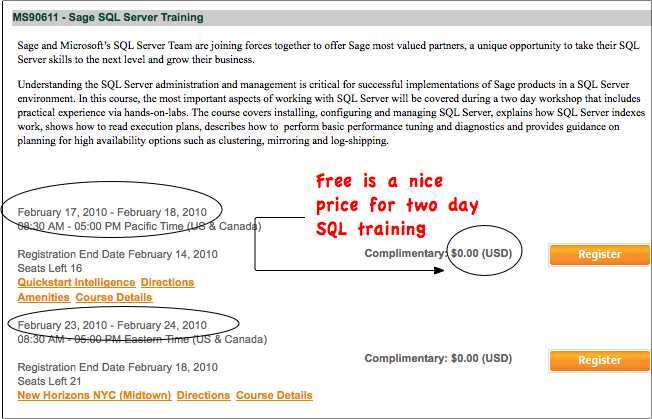 A little birdie just alerted me to a free two day Microsoft SQL training course available to Sage Business Partners free of charge. The course is being held February 17 & 18, 2010 in Irvine California or February 23 & 24, 2010 in New York City. Registration is completely free though as of February 4, 2010 at 3pm EST there were only 16 free seats remaining in California and 20 in New York. 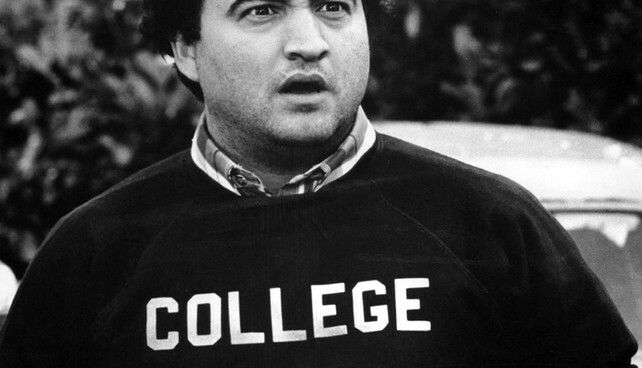 The deadline to register for the Irvine classes is 2/14/10 and for New York it’s 2/18/10. From what we know this training is a requirement for certification on MAS 200 SQL (expected to be re-released in Q4 2010) and certainly handy for any consultants working with Sage MAS 200 EES which uses SQL for the SageCRM portion of the product. How can you go wrong with two days of free hands-on technical training? Sage and Microsoft’s SQL Server Team are joining forces together to offer Sage most valued partners, a unique opportunity to take their SQL Server skills to the next level and grow their business. Understanding the SQL Server administration and management is critical for successful implementations of Sage products in a SQL Server environment. In this course, the most important aspects of working with SQL Server will be covered during a two day workshop that includes practical experience via hands-on-labs. The course covers installing, configuring and managing SQL Server, explains how SQL Server indexes work, shows how to read execution plans, describes how to perform basic performance tuning and diagnostics and provides guidance on planning for high availability options such as clustering, mirroring and log-shipping. 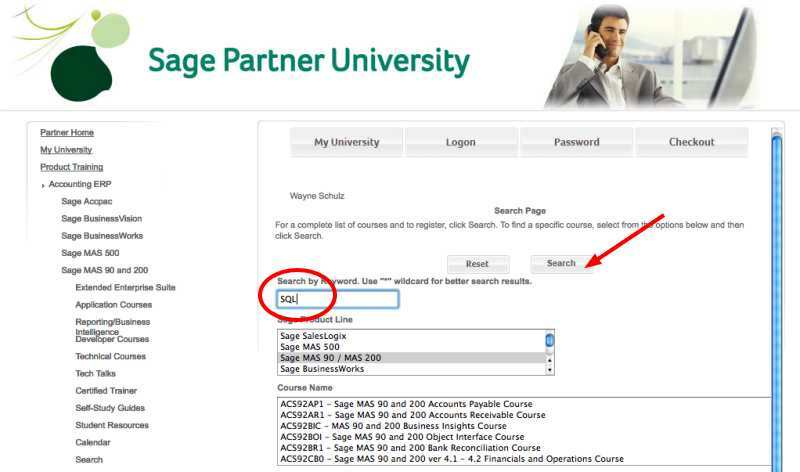 First, login to Sage Partner University here. Next, I was only able to locate the course through a search – but you may be able to follow this link to go direct to the SQL registration page. 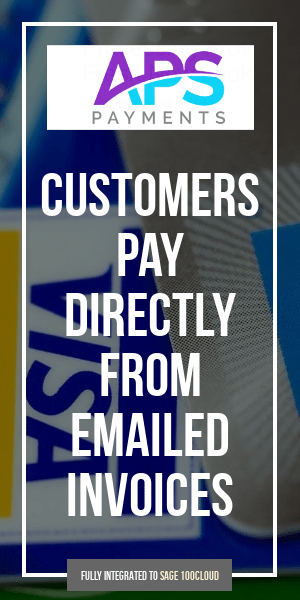 (Update: It looks as if sometimes this direct link brings you to a search page instead of the course – simply search for the keyword SQL and product line Sage MAS90/ MAS200. The second result – course # MS90611 Sage SQL Server Training should appear for $ 0). Curious about what is taught in each of the MAS90 training classes offered at the Sage Authorized training facilities? While there are individual classes available for most modules – you’ll be happy to find more specific training is also offered for the manufacturing (MAS 90 MRP, Bill of Materials and Word Order). Be sure you confirm the class schedule prior to finalizing any travel plans. Some classes have minimum enrollment levels in order to be held and may be re-scheduled if there are not enough attendees. Below is a list of the class descriptions and associated costs courtesy of Kissinger Associates who are a Pennsylvania training facility.